Fiat and Chrysler have revealed a new corporate logo. Symbolizing the total integration and multi-national aspect of the two companies, the new logo is modern and borrows nothing from the past. The newly formed group, called Fiat Chrysler Automobiles, will be legally registered in the Netherlands with its tax domicile set in Britain. While long time Fiat enthusiasts will surely miss the familiar Fiat logo with the traditional slanted "A" that has been around for over 100 years, it should be noted that the new design is the corporate logo and doesn't replace the brand logo. There have been 16 badge designs on the front of Fiat cars since 1899. The first Fiat cars produced came with a name plate stamped with the full name of the company; Fabbrica Italiana di Automobili Torino (or Italian Automobile Factory of Turin). Later cars had a badge with the initials F.I.A.T. on them and people began contracting the letters into a pronounceable word. In 1906, the F.I.A.T. 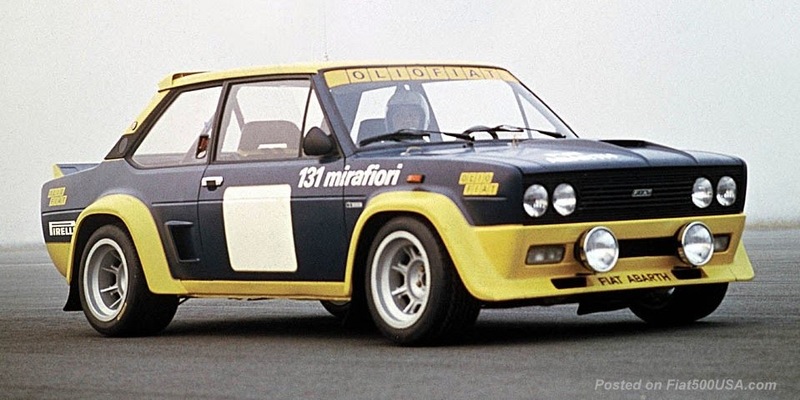 company trademarked the name "Fiat"; however, the company still remained Fabbrica Italiana di Automobili Torino until 1918 when it underwent a reorganization and became Fiat, Societa per Azioni (Fiat Spa or Fiat Inc). In 1999, a new Fiat badge was unveiled on that year's Punto, inspired by a badge originally used in the Twenties. 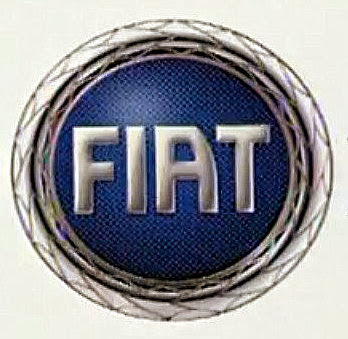 The curent Fiat badge debuted in 2005 on the Fiat Bravo. Created jointly by RobilantAssociati (an agency specialising in Brand Advisor and Strategic Design) and the Fiat Style Centre, the design combines the shields that decorated the front of Fiat sports cars from 1931 to 1968 with the tall vertical letter badges that first appeared on the Fiat 524 of 1931. Following an initial phase with the two corporate logos appearing side-by-side –symbolizing the desire to respect the history, culture and industrial roots of the two groups – both Fiat and Chrysler now require a new corporate identity representative of an organization that is much more than the sum of its two component parts, based on strong core values that represents a unique corporate culture, a common vision and a Group with an international reach. A quick look at the Fiat 500 display at the 2014 Detroit Auto Show. The video, courtesy of Chrysler Media, is meant to capture the experience of what it is like to wander around the cars at the show. 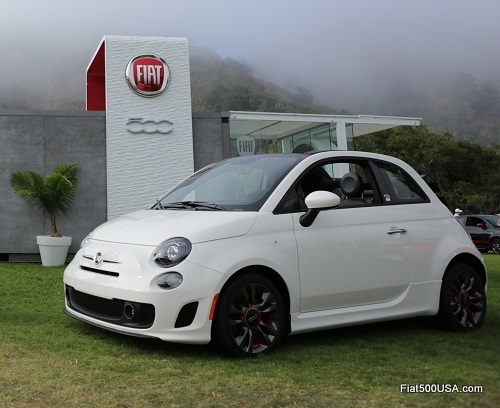 Notable are the new Fiat 500c GQ Edition and Fiat 500 1957 Edition on display. 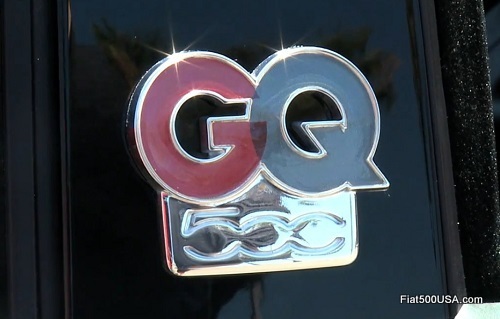 The 500c GQ will be available the first quarter of this year with the 1957 Edition following sometime in the second quarter. Mopar is ramping up their accessory lineup for all the 500 models. 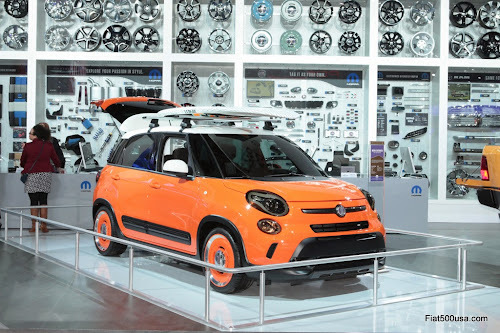 The 500L Thalassa beach cruiser concept was shown to highlight what can be done with some imagination and a Mopar Accessories Catalog. The Mopar display features the "Wall of Awesome" which gives a glimpse of just some of the accessories available. It should not be missed! 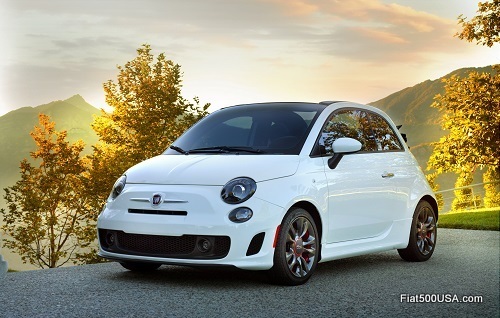 Fiat USA has released the price on the new Fiat 500c GQ Edition. 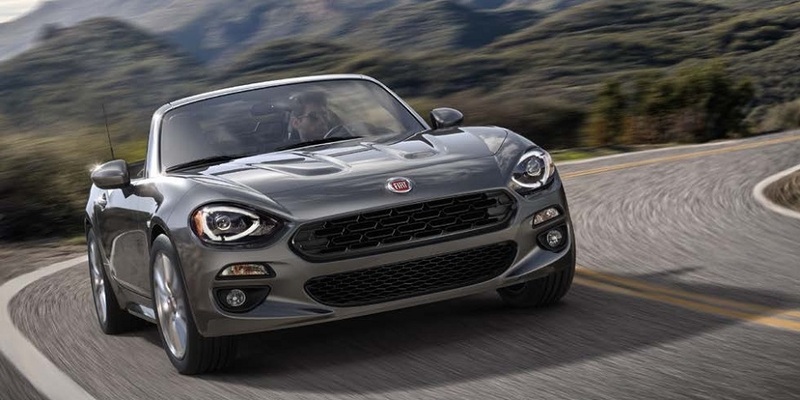 The new model will have a list price starting at $26,795 The new Fiat 500c GQ Edition Cabrio combines elegant good looks with the potent driveline of the Fiat 500 Abarth for a car that is geared towards those who value sophistication as well as performance. Fiat teamed up with Condé Nast, publisher of Gentleman's Quarterly (GQ) Magazine and owner of Fairchild Fashion Media (FFM), whose brands are considered the premier source of news and analysis for the global fashion community. Fiat designers took inspiration from the noted men's magazine to come up with a car that captures the essence of the GQ man - confident, athletic and high style. The style part starts with a Cabrio body and adds a host tasteful details. Front and rear fascias along with extended side skirts are lifted from the high performance Abarth model. Gloss Nero headlamp, taillamp and parking lamp bezels are also added. 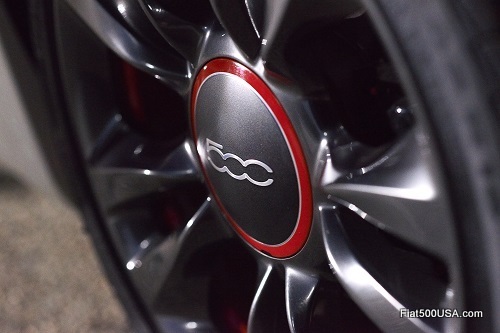 Rounding out the exterior are new 16-inch split five-spoke aluminum wheels finished in Hyper Nero (black) with Rosso (red) center cap accents and a “GQ 500” badge located on the B-pillar. 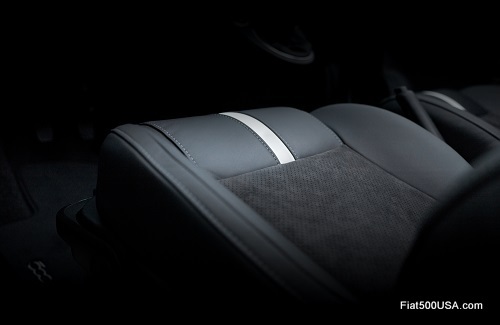 The interior of the Fiat 500c GQ Edition gets the full treatment with distinctive leather sport seats trimmed with Alcantara suede inserts. 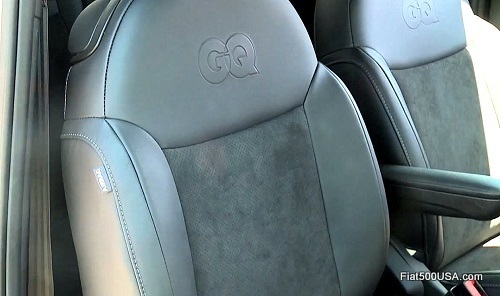 A Steam (white) colored leatherette center stripe on the seat cushions and an embossed GQ emblem on the seat backs are a stylish touch. The leather wrapped steering wheel continues the theme with a Steam colored insert. The seats, leather covered instrument cluster brow and shift boot all feature Tungsten accent stitching. Satin chrome accents used throughout the interior, and a body colored dash panel with a matte finish complete the elegant, yet sporty interior. 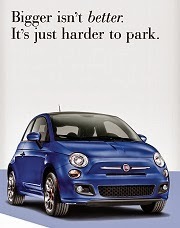 Confident and athletic are a good description of the Fiat 500 GQ Edition's mechanicals. Coming directly from the celebrated Fiat 500 Abarth Cabrio, the 1.4L Turbocharged powertrain is tuned for high performance. In Sport mode, the engine puts out 160 horsepower and 170 lb.-ft. of torque enabling the car to achieve 0-to-60 mph in the low 7 seconds range. The Fiat 500c GQ Edition exhaust system is unique. 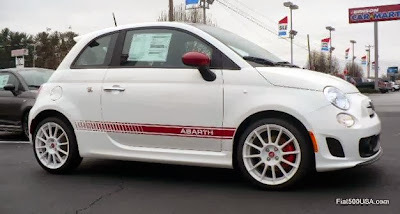 It features a dual tailpipe exhaust similar to the 500 Abarth's but with the addition of a tuned muffler that gives the 500 GQ a powerful yet subdued tone. The Fiat 500c GQ suspension is identical to the 500 Abarth Cabrio's. 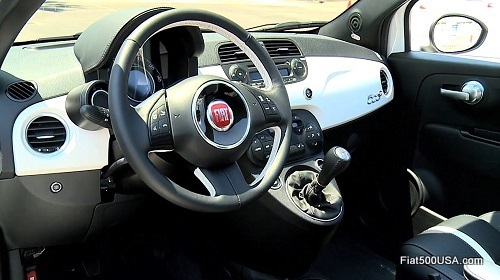 Compared to a standard Fiat 500c Cabrio, the Fiat 500c GQ sits 0.6-inch (15 mm) lower, and the suspension is 33 percent stiffer in the front and 12 percent stiffer in the rear. Front struts utilize Koni dual-valve frequency selective damping (FSD) technology that combines good comfort with excellent road handling. Cast ductile iron steel control arms, reinforced rear spring seats and a rear sway bar contribute to the car's rock steady feel on the road. 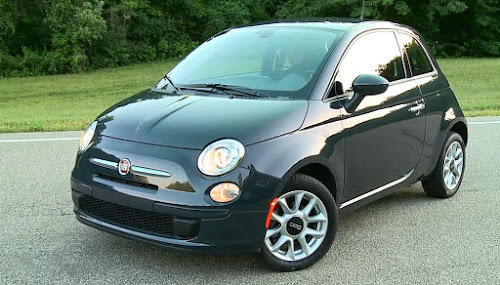 The new 2014 Fiat 500c GQ Edition will be available in Nero Puro (straight black), Granito Lucente (granite crystal), Argento (silver), and Bianco (white) exterior colors. 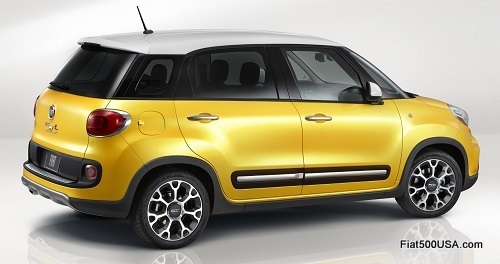 Expect to see the limited production car at Fiat Studios in the first quarter of this year. Take a look at the European Fiat 500 GQ Edition! Here is a video telling us why Fiat - Chrysler may be a good investment going forward. Stephen Wood, the founder of investment firm GreenWood Investors, describes Fiat as "one of the best investments we've found in a long time." Take a look at the video and see why he has come to that conclusion. 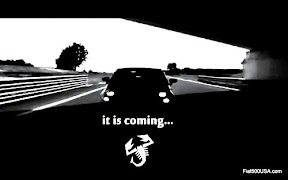 Of course, Fiat fans have always known this! The Fiat 500 uses a drop in cartridge type oil filter. Cartridge (or replaceable element) filters are growing in popularity as they are easier on the environment, and are generally less expensive. 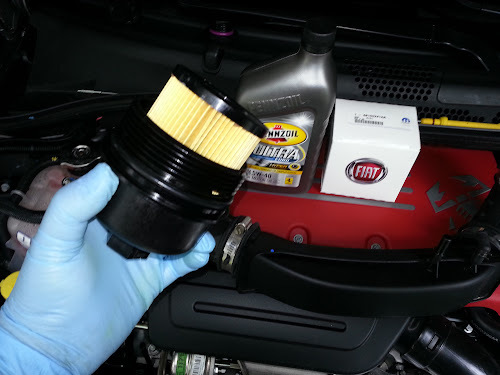 All Fiat 500s use the same oil filter, whether normally aspirated or turbocharged. The original equipment oil filter for the Fiat 500 is part number 68102241AA and generally runs about $8 from a Fiat dealer. They can also be purchased from any Chrysler dealer as most keep them in stock to service Dodge Darts with the 1.4L MultiAir Turbo engine. Aftermarket oil filters typically cost between $6 and $20 depending on the manufacturer. Here is a list of oil filters that fit the Fiat 500, 500L and 500 Abarth. Important: When performing an engine oil change, the oil filter cap must be removed. Removing the oil filter cap releases oil held within the oil filter cavity and allows it to drain into the sump. 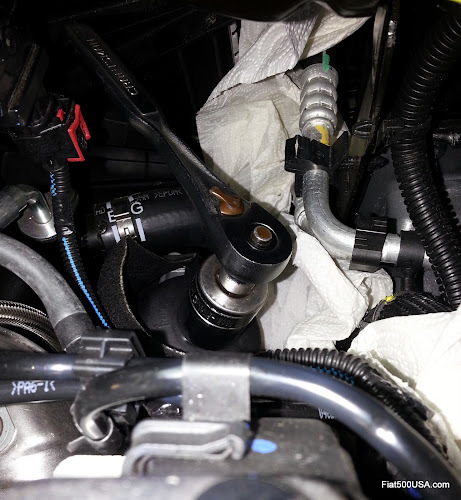 Failure to remove the cap prior to reinstallation of the drain plug will not allow complete draining of the used engine oil. Below are some images and hints on how to change the oil filter on your Fiat 500. All Fiat 500s have an oil filter cartridge contained in an oil filter housing on the front of the engine. There is a oil cooler underneath the housing. Use a 27 mm or 1 1/16 socket to remove the oil filter housing cap. The location is tight. Having a ratchet extension and a swivel joint may make it easier to access and remove the cap. This is the oil filter housing cap. It is a composite material, so you need to be careful how you handle it. Here I am removing the oil filter cap O-ring, which your new filter should come with. Make sure it does because you should not reuse your old o-ring. Also don't use something sharp to remove the o-ring because it is easy to scratch or damage the threads on the cap. These pieces can later break off or cause other troubles down the road. Here is a look at the hex head on the oil filter housing cap. Use the correct tool and not channel locks, pliers or vice grips. The oil filter cap for a Fiat 500 Abarth is part number 04892850AA and costs about $32. If you break it you will not find it at a local part store, so be careful. The new oil filter snaps into the cap so you can turn it upside down and it won't fall out. Important: Screw the cover on all the way by hand. Press down on it to overcome the spring pressure and turn it until it firmly stops. Tighten to 25 N·m (18 ft. lbs.). 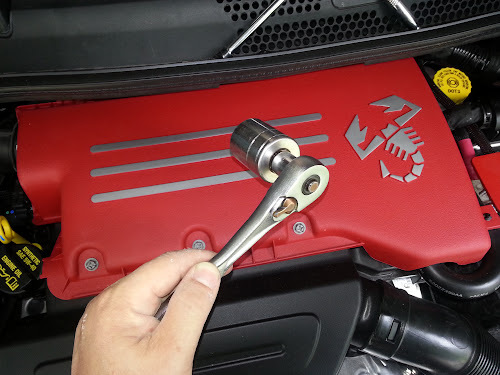 If you don't have a torque wrench or can't fit it into the tight area, snug the filter with the ratchet you used. Don't overdo it. Another new year and you're still stuck with that clunker? Deep six that and get over to your local Fiat dealer! They are having fantastic sales on new cars right now! How about $5,000 off of the insanely fun Fiat 500 Abarth? Or $4,000 off of a stylish 500 Pop? Fiat is having a big sales push to kick off the new year right and make way for the 2014 models. 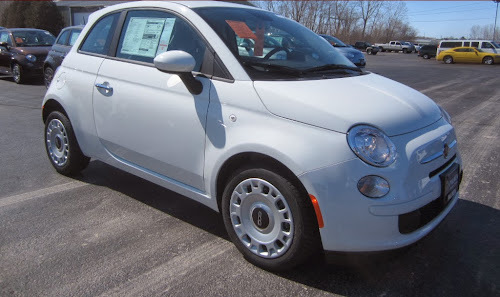 Prices and incentives vary from region to region, but there is no doubt that this is a great time to buy that Fiat 500 you've been looking at. 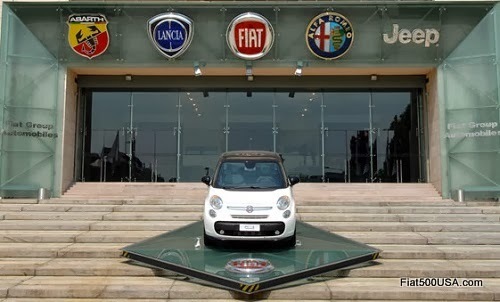 The Fiat 500 is the holder of more that 80 awards and is the most popular car of its size in the world. More than 1.1 million Fiat 500s have been sold in just 6 years. The sale ends this month so now is your time to get in on the fun! Palmen FIAT: 2013 Fiat 500 Pop: MSRP: $16700... Now $12,250 plus tax, tag, title! Benson FIAT: 2013 500 Abarth with Satellite radio / Sunroof / Heated Seats / 17" Gloss White wheels / Red Mirror caps and Stripes MSRP: $26,550... Now $21,550! 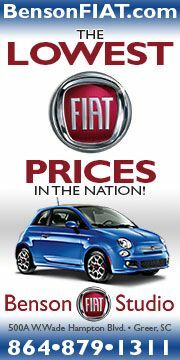 Click the links to the Fiat Studios below to see the deals! In this series of videos, Olivier Francois, Global Head of Fiat Brand, talks about the brand's lineup in Europe and gives a hint of what will happen with the Fiat 500 model range in the future. Francois confirms that the 500 will not become a separate brand, but will be expanded. The video shows that two new Fiat 500 models will be unveiled in the "very near future" - the 500X Crossover and what we are guessing is a replacement for the Fiat Punto. In the press conference, which was held at the Frankfurt International Auto Show, Francois describes the company's offerings for the European market. 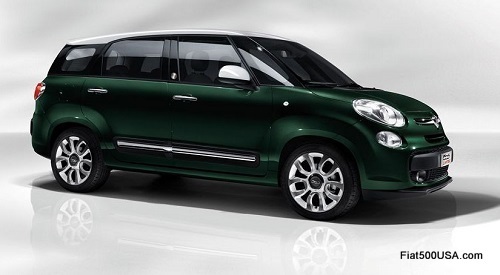 Will we see some of these cars like the Panda or the seven passenger 500L Living here in North America? 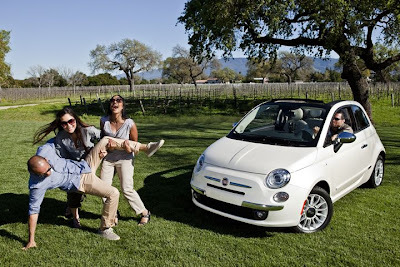 Let us know what you think on the Fiat 500 USA Forum! Below are the details of the deal Fiat worked out with the United Auto Workers VEBA trust fund to buy the remaining shares of Chrysler. VEBA is short for Voluntary Employees’ Beneficiary Association and was set up when Chrysler went into bankruptcy in 2009. Fiat, which owns 58.5 percent of Chrysler, had been negotiating for the past year to purchase the remaining 41.5 percent from the trust fund. These negotiations had grown contentious during this time and came to a head last September when trust fund forced Chrysler to file paperwork for an IPO to sell the stocks on the open market. The trust fund was gambling that they would do better by offering their shares to the public and force Fiat to pay market value for them. It was said at the time that VEBA and Fiat were about 1 billion dollars apart, and that trust fund wanted upwards of 6 billion dollars for its shares. 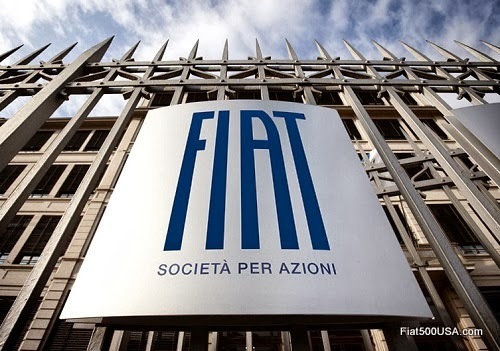 Now in a masterful example of negotiation that averts the IPO, Fiat has agreed to pay VEBA $3.65 billion, plus an additional $700 million in four annual payments. This is well under what most analysts had predicted Fiat would pay for the remaining shares of Chrysler. The deal paves the way for Fiat and Chrysler to merge and become the seventh largest car maker in the world, offering economies of scale that car makers need to have in order to stay in business. The merger will also give Fiat access to Chrysler cash on hand, estimated at $12.2 billion. These funds are needed to finance desperately needed new models in Europe. 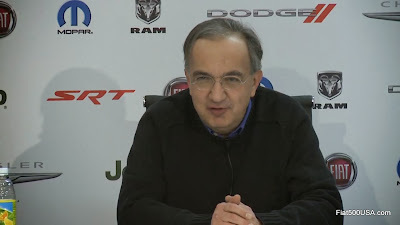 It should be noted that Chrysler generated these profits while under Fiat's management since 2009 and most experts say that, during this time, Fiat somewhat neglected its European operations to concentrate on saving the US company. The following is the official agreement press release. Fiat S.p.A. (“Fiat”) today announced an agreement with the VEBA Trust1, under which its wholly owned subsidiary, Fiat North America LLC (“FNA”), will acquire all of the VEBA Trust’s equity membership interests in Chrysler Group LLC (“Chrysler Group”), representing the 41.4616% of Chrysler Group not currently held by FNA. The transaction is expected to close on or before January 20, 2014.
and at closing, FNA will pay the remainder of approximately U.S.$1,750 million in cash purchase consideration to the VEBA Trust. Contemporaneously with the transactions described above, Chrysler Group and the International Union, United Automobile, Aerospace and Agricultural Implement Workers of America (the “UAW”) have agreed to a memorandum of understanding under Chrysler Group’s xisting collective bargaining agreements to provide for additional contributions by Chrysler Group to the VEBA Trust of an aggregate of U.S.$700 million in four equal annual installments. The initial payment will be made on closing of the transaction with Fiat and additional payments will be payable on each of the next three anniversaries of the initial payment. Chrysler Group expects to fund the initial contribution to the VEBA Trust from available cash on hand. implementation of these programs across all of Fiat-Chrysler manufacturing sites to ensure objective performance assessments and provide for proper application of WCM principles, and actively assist in the achievement of the Group’s long-term business plan. interests will be acquired by FNA in connection with the transactions described above. 1. The UAW Retiree Medical Benefits Trust, a Voluntary Employees’ Beneficiary Association, is an independently administered trust established to pay health care benefits for retirees from Chrysler. 2. 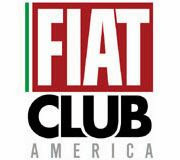 In the event that the special distribution from Chrysler Group cannot be paid by the intended closing date (January 20, 2014 or earlier), Fiat intends to make payment to the VEBA Trust of the aggregate consideration and thereafter receive the special distribution when it is the 100% owner of Chrysler Group.